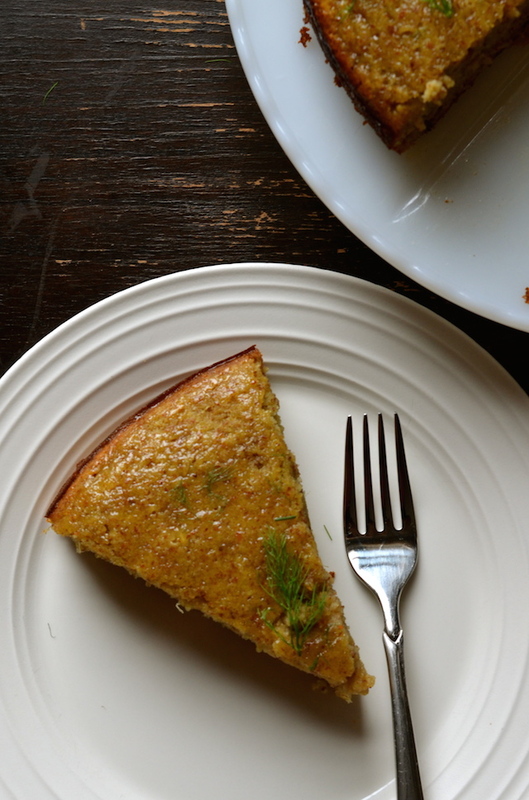 I've been hanging onto this Flourless Fennel Almond Cake recipe for a couple months. I first was inspired to make it a couple months ago, when all my best college friends and I gathered in Cincinnati for our friend's wedding. 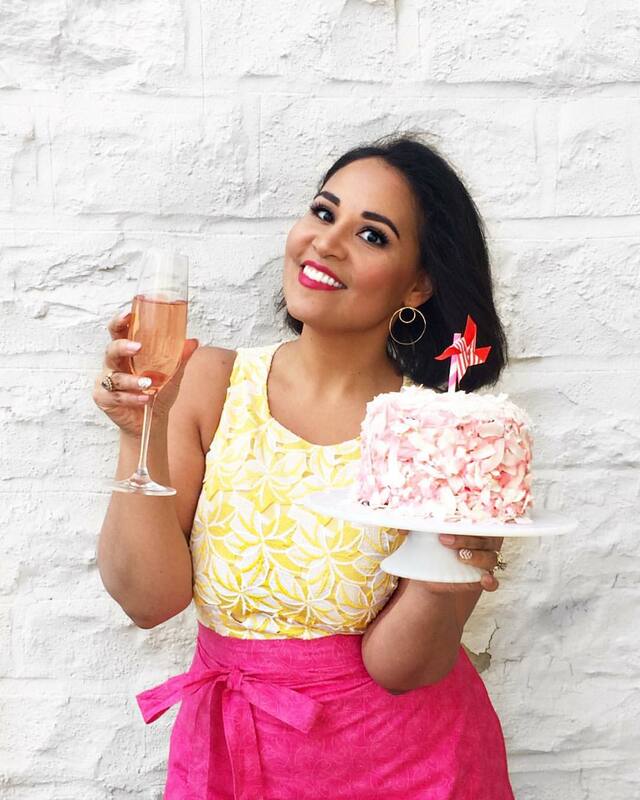 We all live scattered around the country, so any reason to come together is always also a reason to eat together and drink together and shop and laugh and dance and basically cram in a year's worth of activities in the short time we have together. On our first night during this trip, we made plans for a big group dinner at an awesome Cincinnati restaurant called Metropole. They seated us at a big communal table right by the kitchen, and we proceeded to order nearly the entire menu (both food and drinks!). We drank and ate and laughed and probably annoyed all the other patrons with our volume (sorry, folks!). Among the many good things we ate that night, one of my favorites was the flourless fennel almond cake that I ordered for dessert. Just a few bites into it and I was already determined to recreate it as soon as I got home. 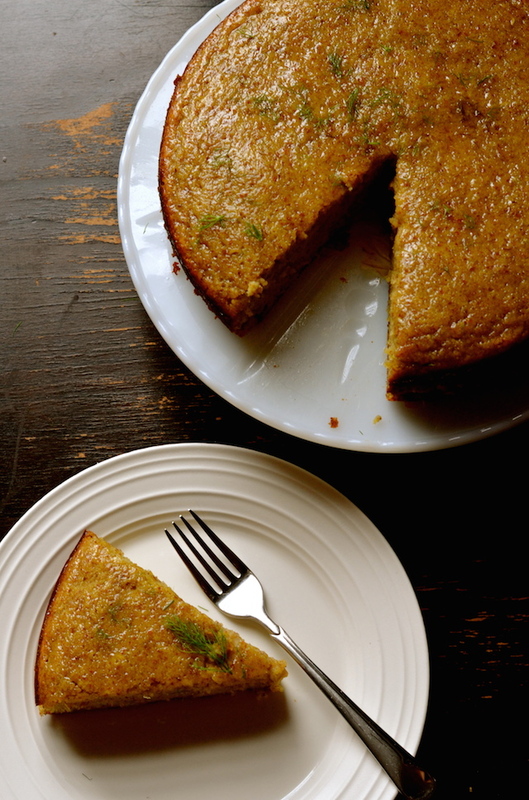 I based this recipe on one of my favorite flourless cakes, which is made with pureed boiled clementines. I basically swapped in an equivalent amount of pureed roasted fennel, then topped the whole thing off with an anise and fennel-infused syrup. If you're a fan of licorice and anise-flavored things, you will probably love this--let me know if you give it a try! Preheat oven to 400 degrees. Butter and line a springform baking pan (this is a sticky cake; you NEED a springform pan). Remove fronds from fennel bulb (reserve) and chop bulb into thick wedges. Drizzle with oil and roast for 20 minutes, or until tender and slightly caramelized. Transfer to a food processor or blender along with the eggs and sugar, and puree until smooth. Pour into a large bowl. Stir in the almond meal, anise seeds, extracts, salt, and baking powder into the fennel and egg mixture and stir well until evenly combined. Pour into the prepared baking pan and bake 50 minutes to 1 hour or until set. Let cool in pan 20 minutes before removing sides and letting cool completely. 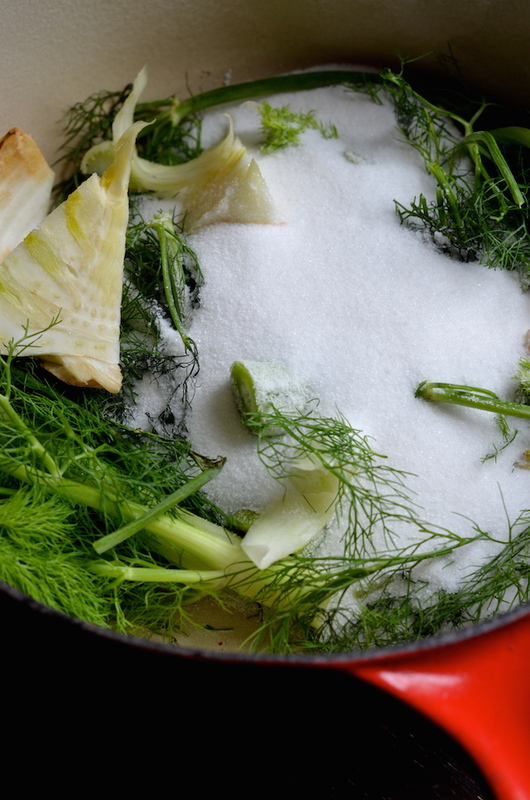 While cake bakes and cools, make the syrup: Combine the reserved fennel fronds, 1 1/2 cups water, and 1 cup sugar and bring to a boil. Lower heat to a gentle simmer and let cook for about 20 minutes or until liquid thickens into a syrup. Strain syrup (discard fronds), and stir in anise extract and salt. Brush warm syrup over cooled cake, allowing it to soak in. 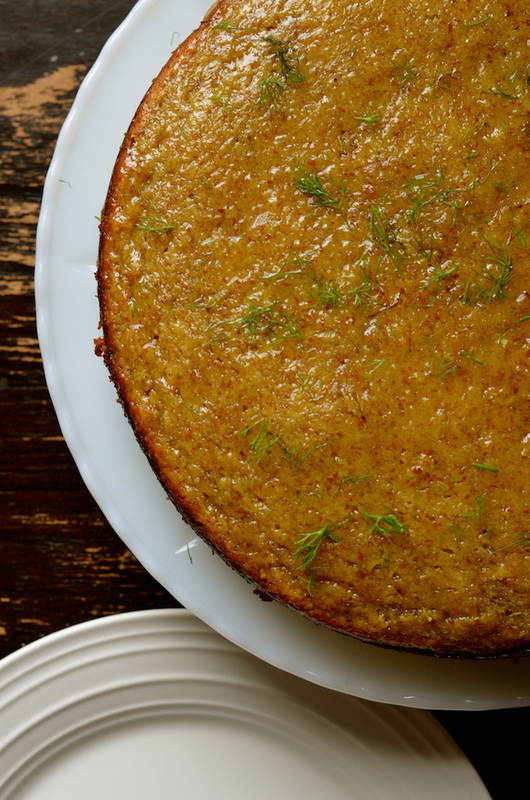 If desired, garnish cake with a few sprigs of fennel leaves or some additional toasted anise seeds.